Photographer Jenna Harrison wants every bride and groom to look picture perfect on their special day. But her own heart is still broken, the unworn wedding dress hanging in her closet a reminder that relationships aren't always as perfect as they look through her camera lens. Grant Nichols is a genius in the kitchen and a klutz on the dance floor. But his friend's wedding is shaping up to be a shindig the likes of which Kings Meadow has never seen -- including dancing. Lots of dancing. MacKenzie "Mac" Davis returns to her hometown of Red Leaf, Wisconsin, and takes a job at the weekly newspaper writing about social events. When Hollis Channing, Mac's high school nemesis, returns to Red Leaf to marry her celebrity fiancé, the editor asks Mac to cover all the festivities for the newspaper. 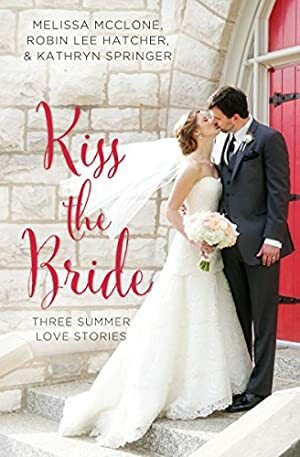 The last thing Mac wants to do is reconnect with the person who made her life miserable when she was a teenager... unless it's spending time with Ethan Channing, the bride's older brother -- and Mac's first crush. Log In to track Kathryn Springer on eReaderIQ. to be notified each time the price drops on any book by Kathryn Springer. to stop tracking Kathryn Springer. Log In to track Melissa McClone on eReaderIQ. to be notified each time the price drops on any book by Melissa McClone. to stop tracking Melissa McClone. Log In to track Robin Lee Hatcher on eReaderIQ. to be notified each time the price drops on any book by Robin Lee Hatcher. to stop tracking Robin Lee Hatcher. We started tracking this book on July 3, 2015. The price of this book has changed 15 times in the past 1,388 days. The current price of this book is $6.99 last checked 3 months ago. This lowest price this book has been offered at in the past six months is $5.59. The lowest price to date was $1.99 last reached on June 29, 2018. The highest price to date was $9.99 last reached on September 2, 2017. We last verified the price of this book about 3 months ago. At that time, the price was $6.99. This price is subject to change. The price displayed on the Amazon.ca website at the time of purchase is the price you will pay for this book. Please confirm the price before making any purchases.